I was 12-years-old when I decided that Frank Robinson was the coolest person on the planet. When I first heard the news that the Hall of Fame baseball great had passed away last week, I was flooded with memories of Robinson’s remarkable career and recalled my own infatuation with the player I have always argued was the best of his gifted generation. It didn’t matter that he shared the spotlight with some of the greatest baseball players of all time, including Willie Mays, Hank Aaron, Roberto Clemente and Mickey Mantle. Robinson was my guy and I basically worshiped the ground he walked on. In the 50s and 60s, baseball was still king in this country and I joined millions of young fans who were drawn to the game and its heroes. My first connection to baseball came by way of my dad who was a life-long Cincinnati Reds fan. In the summer months, my father was a nightly fixture, sitting in his chair on the front porch of our North Kenilworth Avenue home, reading the newspaper and listening to Waite Hoyt’s broadcast call of the Red’s games on a radio he plugged into a light socket in the ceiling. Like every hot-blooded young baseball fan in that era, Topps baseball cards became the medium that connected us with the game and our heroes. A nickel bought a wax pack of five baseball cards and the anticipation of tearing open the package and discovering what players we acquired was like a small epiphany. The event was too valuable to waste, so when I had a quarter, I made five separate trips to Zerante’s Carry Out on the corner of Allentown road and Cole street to buy a pack of baseball cards, and then raced home to discover what treasures I could add to my collection. 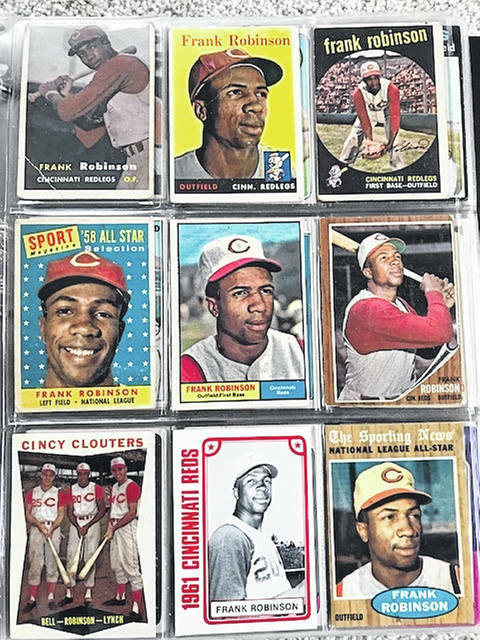 The day I found a Frank Robinson card in the pile of loot was magical. I still have that card and every other card from Robinson’s playing career. It was in the Reds 1961 pennant winning season that I saw Robinson play in person for the first time. It was my first major league baseball game, the Reds versus the Pirates. My dad brought several of his boys on a Knights of Columbus train excursion to Cincinnati to see the game. Those baseball excursions were memorable. While the fathers fished beers out of large tubs of ice water in the train’s box car, their kids roamed the passenger cars in acts of wild, unbridled enthusiasm, absent any adult supervision. They were the best days of the summer. Once the train pulled into Union Terminal Station in Cincinnati, the rowdy crowd disembarked and walked a couple blocks right down the center of the street to Crosley Field. Our seats were down the left field line but, when it was near Robinson’s time to bat, I left my seat, ran down the concourse and made my way down the steps near the Red’s dugout to get a closer look at him while he was in the on-deck circle. When an usher came to shoo me from my perch, he must have recognized my reverence for Robinson and he let me linger for a few moments. I felt I was in the presence of greatness. Frank Robinson had a style all his own. He walked to the plate with a slow, athletic shuffle, slightly stooped, a little pigeon-toed, but resolute. 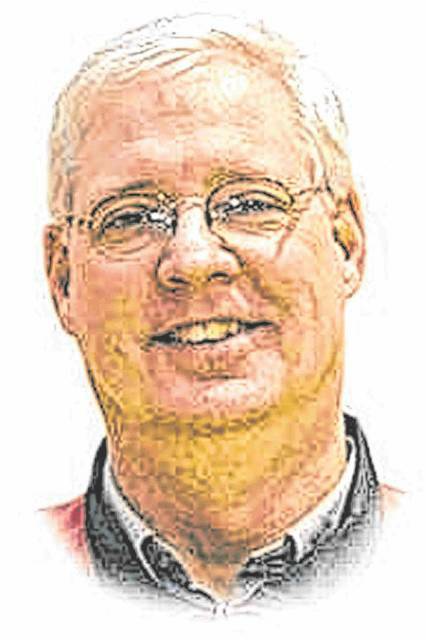 I can still picture him in his 1961 uniform: white with red pin stripes and sleeves. His white hat had a red bill and the “C” logo. He wore the bottom of his uniform pants low, near his ankles, resisting the then growing trend when players began rolling their pants up toward the knee and showing off their high stirrup socks. Once in the batter’s box, Robinson leveled his bat, aimed the knob end at the pitcher and rested the barrel of the bat on his biceps, like a coiled cobra, poised to strike. My enduring memory from that day was Robinson taking the Pirates ace pitcher, Vernon Law, deep, the ball sailing high over the center field wall and on to I-75. I remained a loyal fan of Robinson even after he was foolishly traded to the Baltimore Orioles by Reds general manager Bill DeWitt, who famously described him as “an old 30.’’ Robinson responded by winning the triple crown, MVP award and leading the Orioles to a World Series title the very next year. He bounced around several teams late in his career before finishing it in Cleveland where he became the first African-American manager in major league baseball history. I believe it was a mistake not bringing Robinson back home to Cincinnati to finish his illustrious career. Over the years I remained resolute that Frank Robinson was the greatest player of his generation and have clung to that belief, despite ample evidence to the contrary. The 12-year- old boy who taped Robinson’s picture on his bedroom wall and discovered a heroic figure to emulate, never changed his mind. The news of Robinson’s passing came as a shock. It was a sad day.